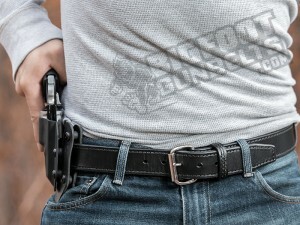 Bigfoot Gun Belts, a breakthrough company that specializes in making the world’s strongest and most reliable gun belts, is proud to release their highly anticipated Untamed Series to the open and concealed carry world. These premium leather gun belts exude quality and comfort, while providing superior support to your everyday IWB and OWB carry. Never deal with a sagging holster ever again! 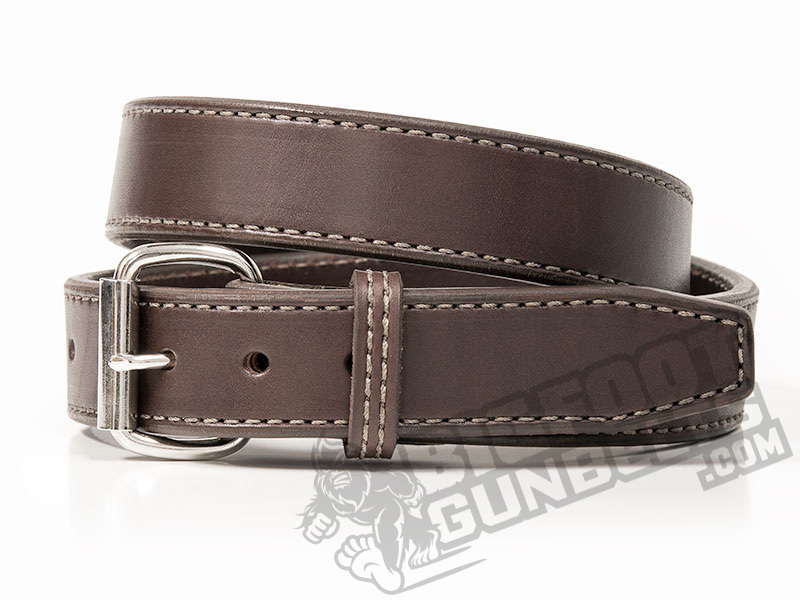 Bigfoot Gun Belts are made with a double layering of English Bridle leather, which is cut to order by a handful of skilled gun belt craftsmen. This drum dyed leather, available in traditional black or rich brown, has been chosen for its legendary strength and long lifetime. 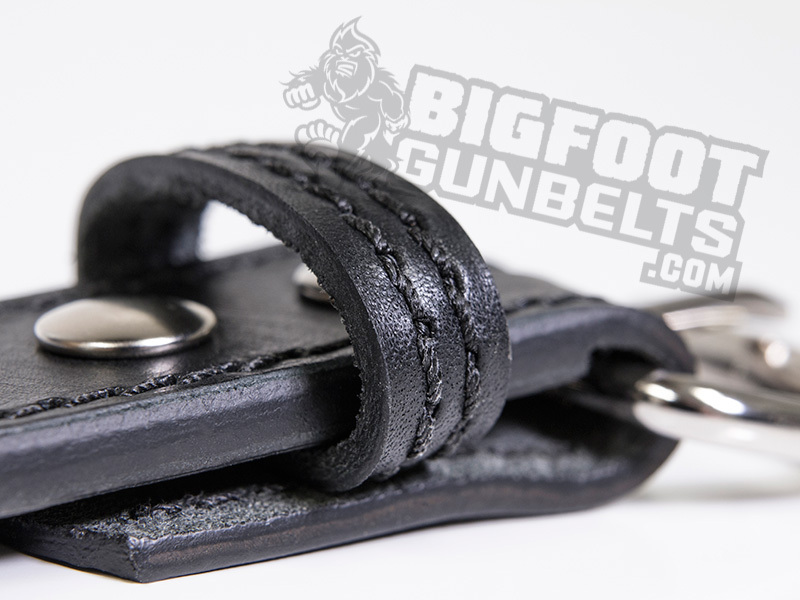 To provide even more strength to this beast of a gun belt, craftsmen at Bigfoot Gun Belts have embedded a spring steel core between the two layers of rich leather. The steel core, available in both the 14-ounce and 18-ounce leather belts, provides handgun owners with a strength rarely seen before (perhaps only from a distance with a shaky camera). Each of our gun belts go through a Triple Edge Finishing process, which includes a bevel, burnish, and paint done by the industries finest gun belt makers. This creates a smooth and uniform finish and also provides protection to the edges of your gun belt. 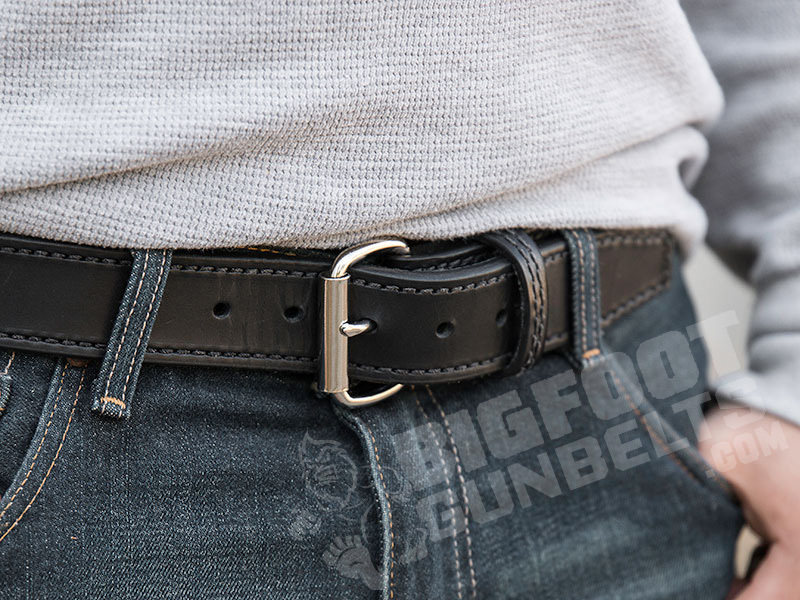 To match the strength and quality of the hand cut leather, Bigfoot Gun Belts are made with corrosion resistant hardware that will stand up to the harsh elements. The nickel-plated roller buckle will also allow the belt to effortlessly ‘roll’ through your buckle without damaging the leather, while the snaps provide you with an easy way to swap out your belt buckle within seconds. 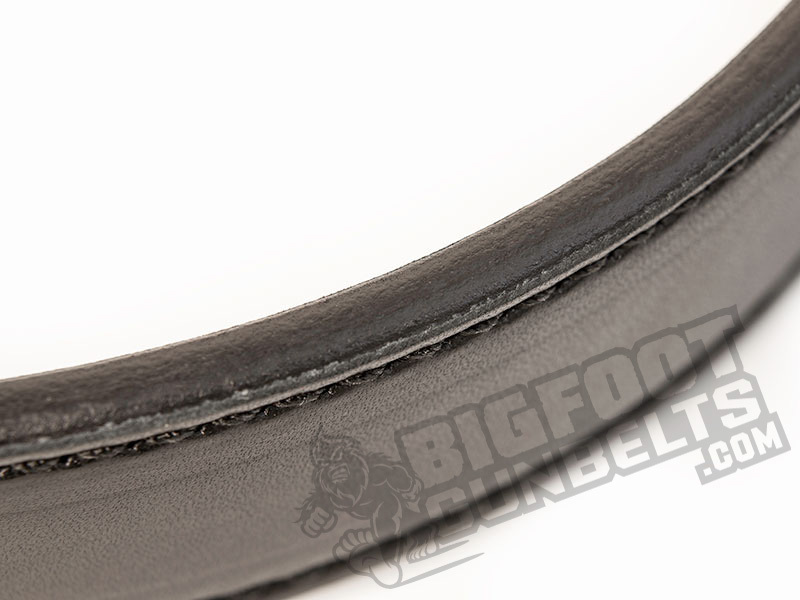 Every Bigfoot Gun Belt is backed by our 7-Day Test Drive and Legendary Warranty. This provides you with a chance to test it out with your CCW for a full week with absolutely no risk. If you’re not fully satisfied by this beast of a belt, send it back for a full refund.